Doctor’s Instructions: Place a small amount of Pibu’s™ Bathtime Wash on a warm damp washcloth or your fingers to gently cleanse baby’s hands, feet, armpits, neck folds and groin area. Apply pea-sized amount to sot-bristle brush and gently massage into scalp and hair using a circular motion. Rinse out the natural baby bath wash thoroughly with warm water. Warnings: For external use only. 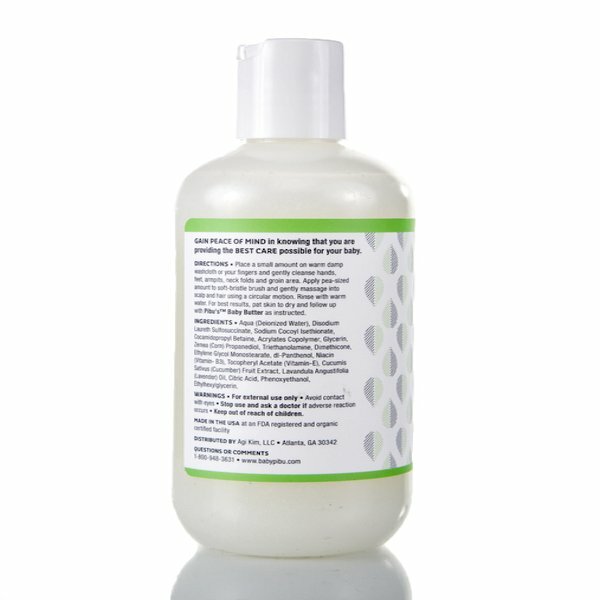 Stop using if adverse reaction occurs to our natural baby bath wash. This is Nan from Eyesore! I love the product! 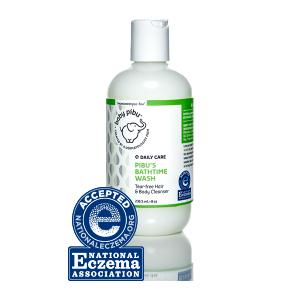 I just wanted to say that babypibu bathtime wash is the best! LOVE all of the products made by Baby Pibu! We have two girls (1 yr and 2 months old) and use the bath wash, hydrating ointment, and bottom balm every day! We also love the intensive bottom relief and sunscreen when needed. I myself as a mom use the baby butter for my own use. Myself and my girls have very sensitive skin and mild eczema, but you would never know thanks to Baby Pibu! All of the products work and smell amazing! Would highly recommend any of their products!! We absolutely love the bath time wash! My 1 year old has horrible dry skin and wash has done wonders for us, not to mention it smells so good. Thank you for your products and continued efforts to take care of our little ones’ skin all around the year!